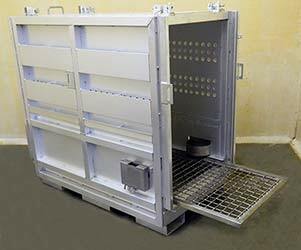 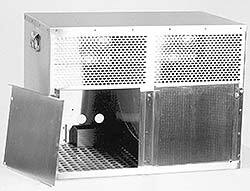 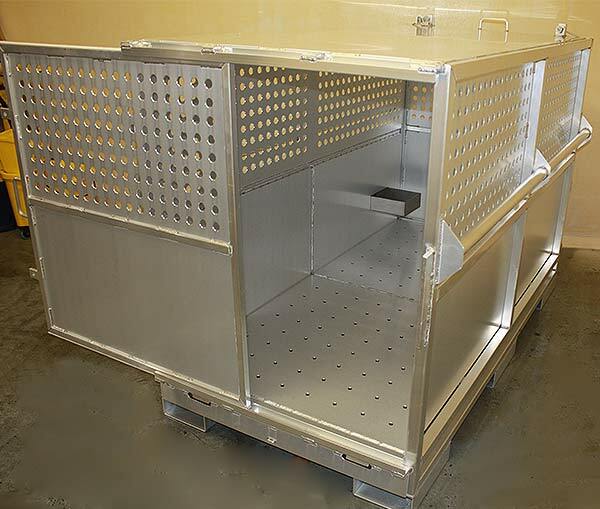 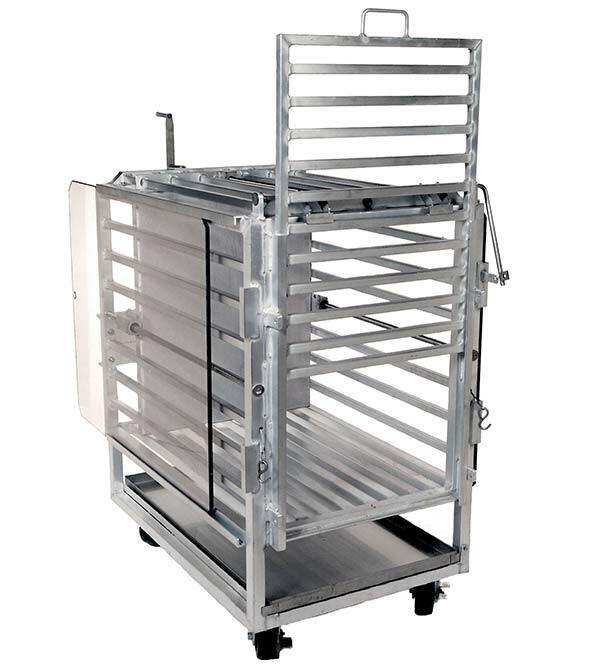 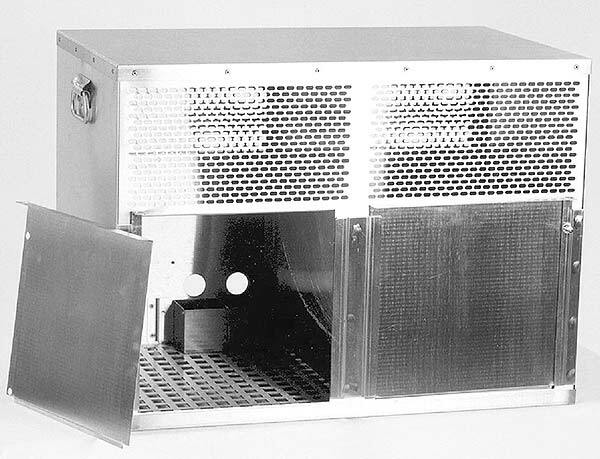 LGL Animal Care Products, Inc. offers customized transfer restraint cages, transport shipping crates, and squeeze crates for small, medium, and large primates and carnivores. 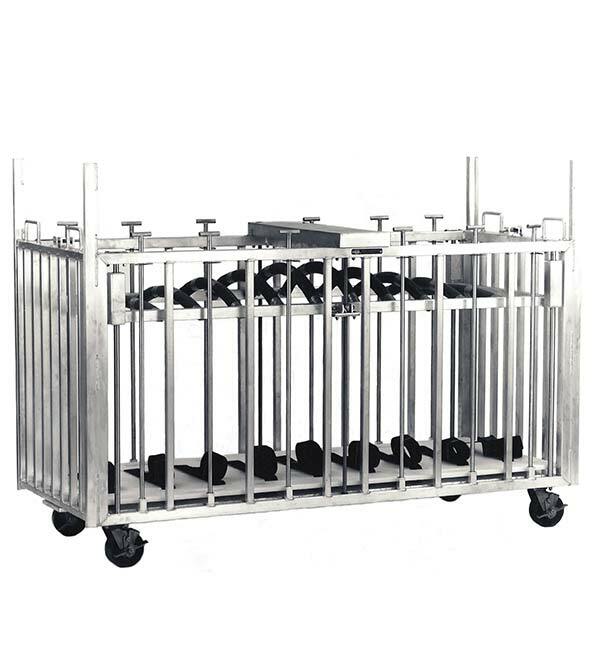 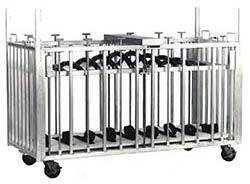 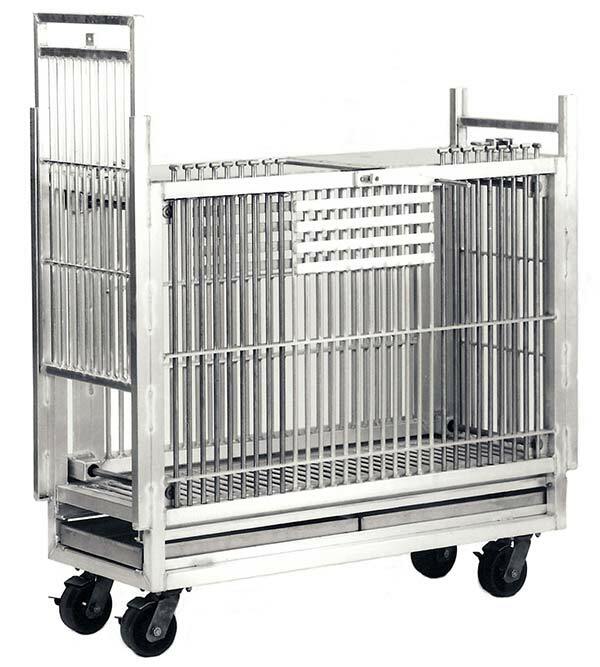 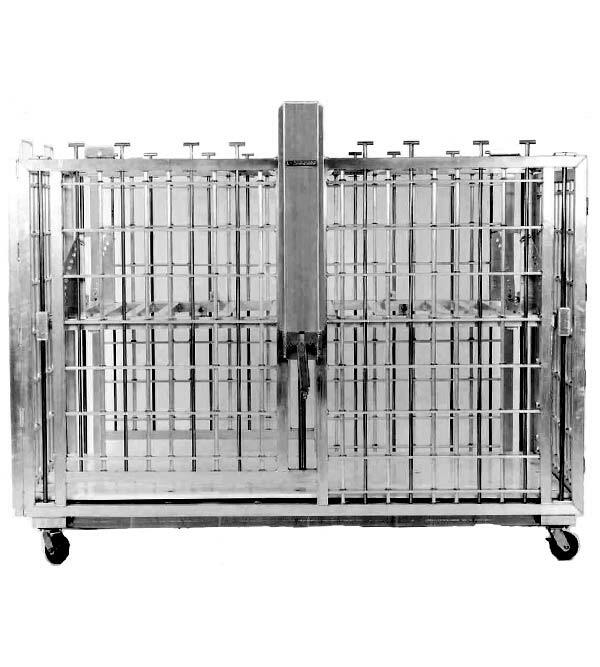 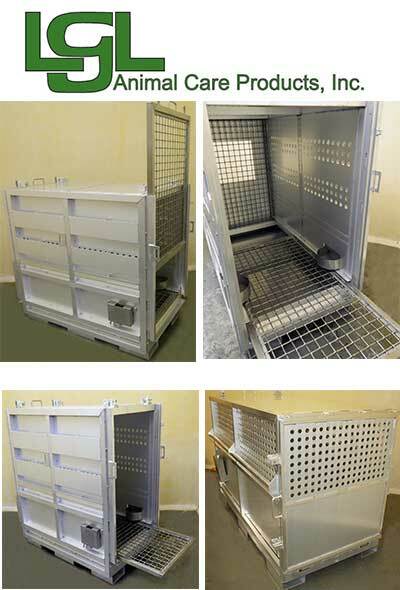 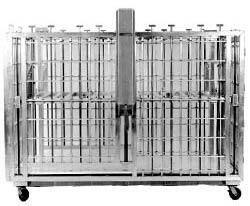 Many transfer restraint cages can be equipped with a built in scale for convenience. Shipping crates can be customized to meet IATA specifications. 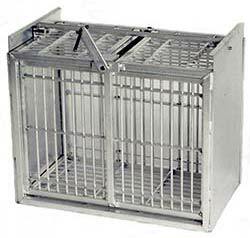 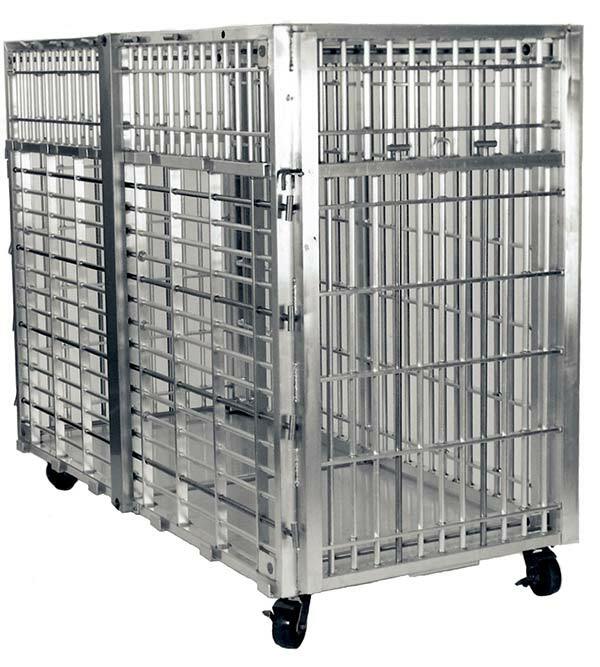 This ideal restraint cage is for safely handling exotic animals as well as domestic laboratory animals. 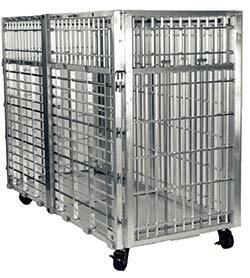 Constructed of high strength, lightweight, and corrosion resistant aluminum. The guillotine door at each end allows for easy entry and removal of animals. 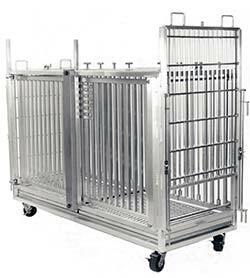 The aluminum rod sides and top permit high interior light levels and easy access to the animal. 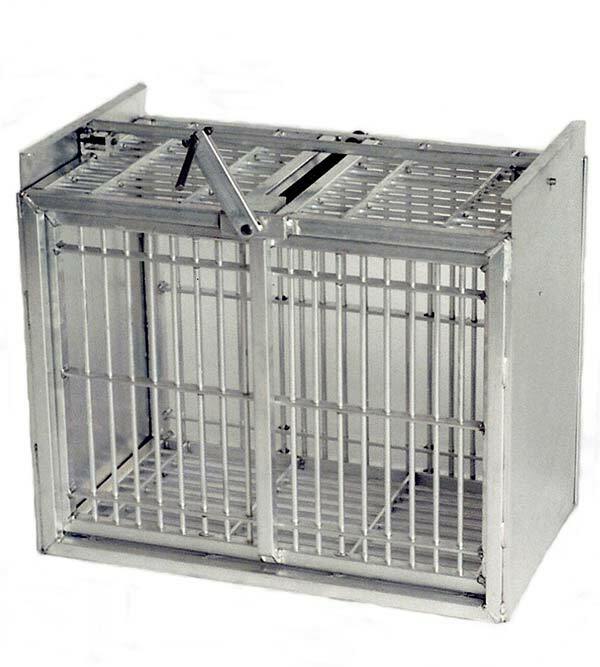 A built-in collapsible handle on squeeze panel sides provides for a quick and easy animal restraint. 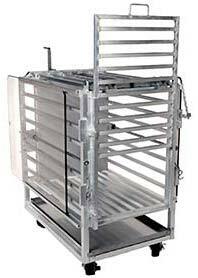 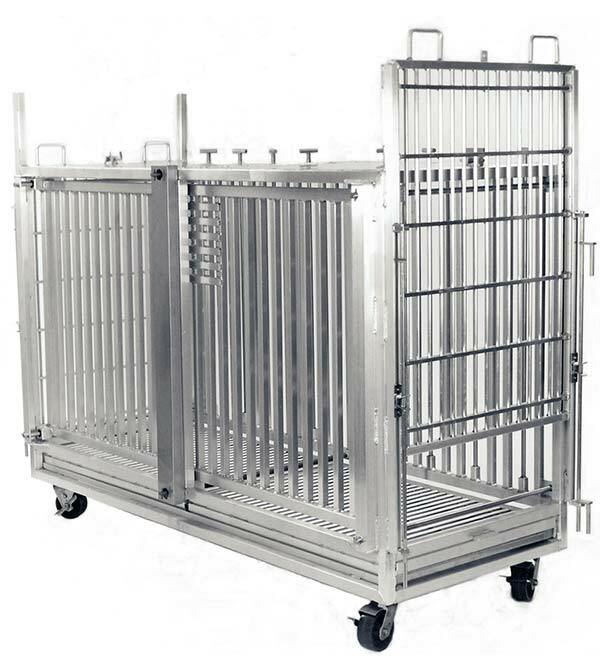 Transport your animals in a well-constructed cage that is designed to keep your precious cargo safe and secure.